Enjoy emancipation from cooking one extra meal. Save your energy for Seder. Friday Services 6:30pm - Followed by dinner. 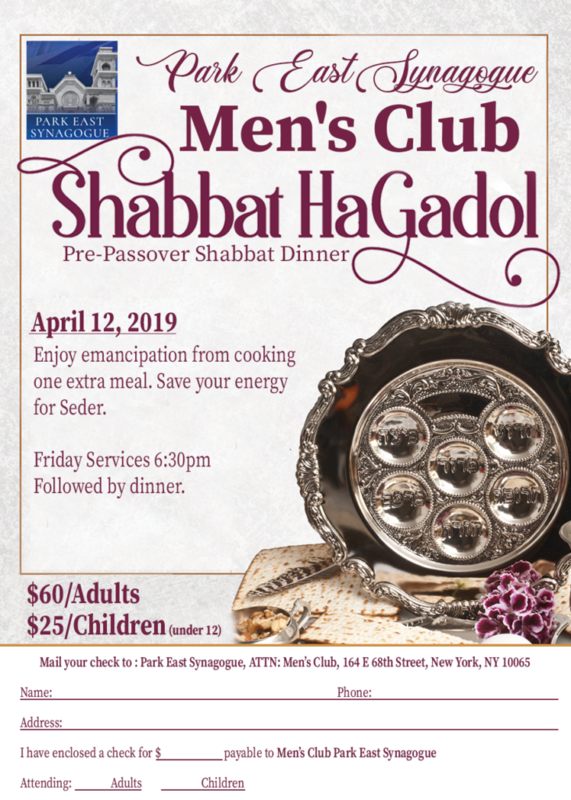 $60/Adults $25/Children (under 12) Mail your check to : Park East Synagogue, ATTN: Men’s Club, 164 E 68th Street, New York, NY 10065 Please include your name, phone, address and who will be attending. 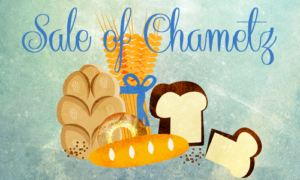 Enclosed a … Continue reading "Men’s Club Shabbat HaGadol"